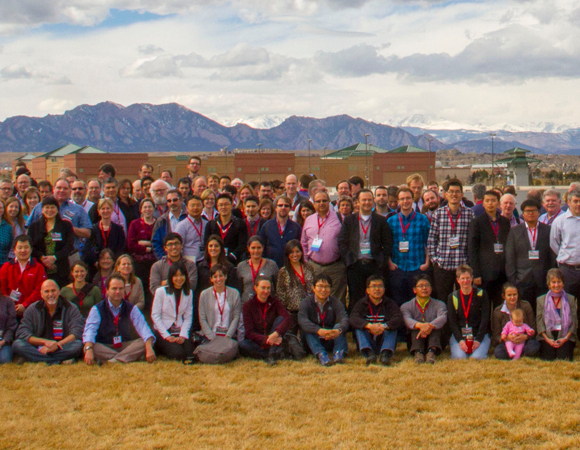 The bi-annual UNAVCO Science Workshop has continued its tradition of bringing the UNAVCO community together to share advances in geodesy-related research and education. The 2014 UNAVCO Science Workshop was held in Broomfield, Colorado, 4-6 March 2014, with a theme of Celebrating Thirty Years of Geodesy Innovation for Science. 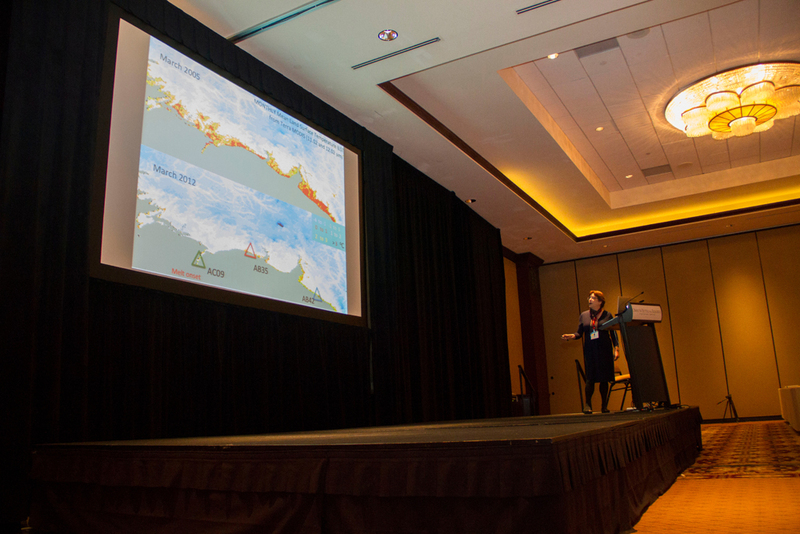 The community organizing committee developed a workshop agenda that included everything from plenary sessions on sea level rise and real-time monitoring to short courses on hydrogeodesy and strainmeter data to an Ignite UNAVCO history session. 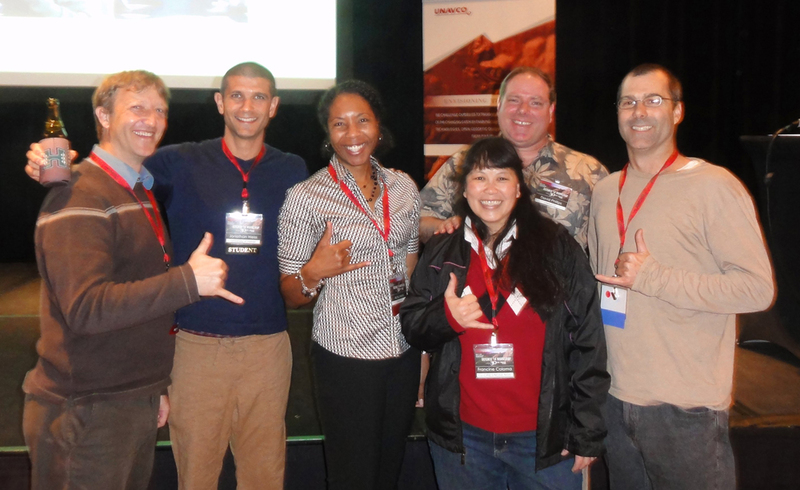 More than 240 participants attended from 24 different countries, including 19 students whose travel was supported by the UNAVCO GAGE Facility. Plenary sessions. 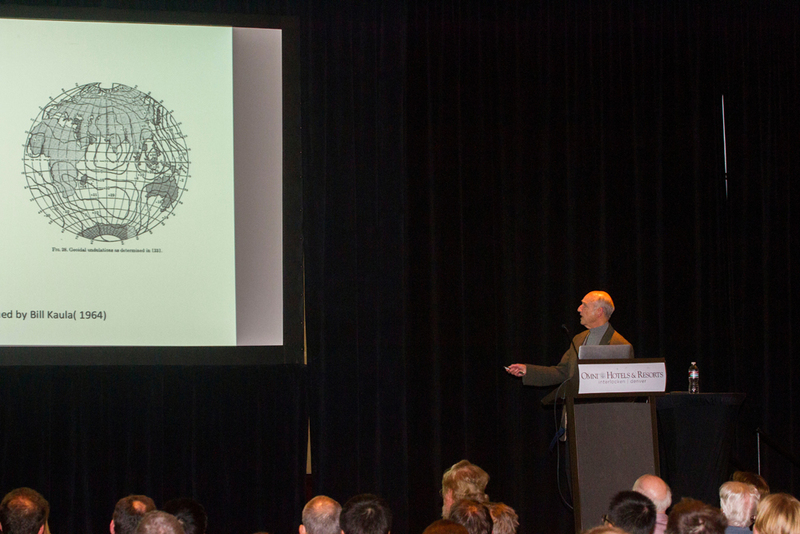 Six plenary sessions focusing on emerging areas of science examined recent scientific discoveries, future science directions, and education and broader impacts. 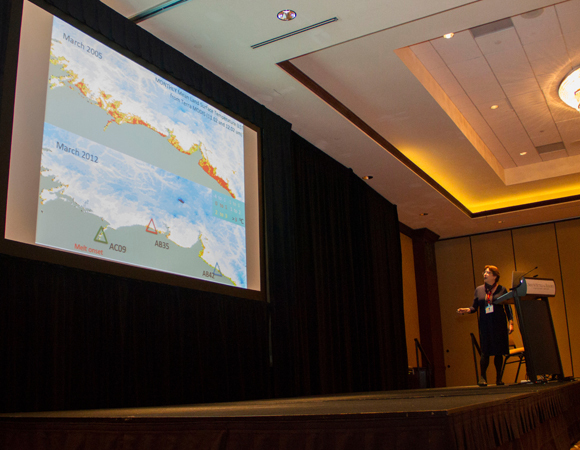 Invited presenters spoke about coastal subsidence and sea level rise, large-scale computing, exploiting dense geodetic data, combining geodesy and seismology in real-time monitoring, geodesy and the cryosphere, and regional response to great earthquakes. Special topic sessions. 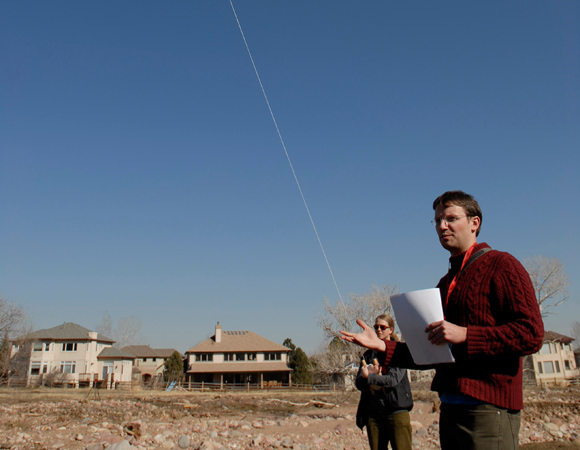 For focused discussion, UNAVCO staff and community members led special topic sessions covering 12 community-proposed geodesy research and education topics. 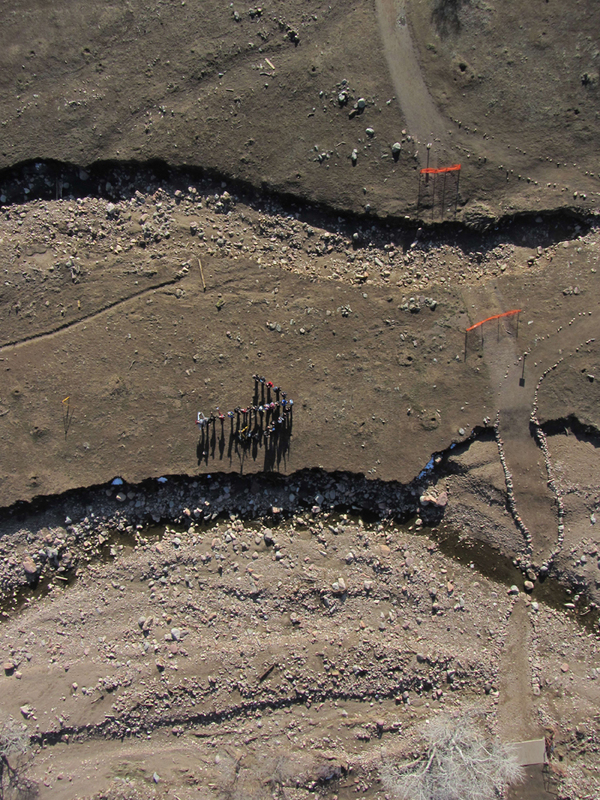 A sampling of topics covered includes transient deformation, network modernization, undergraduate curriculum, borehole and long baseline data, geoworkforce development, data collection in extreme environments, and high-rate real-time GPS data for studies of earthquakes, volcanic eruptions, and other major events. 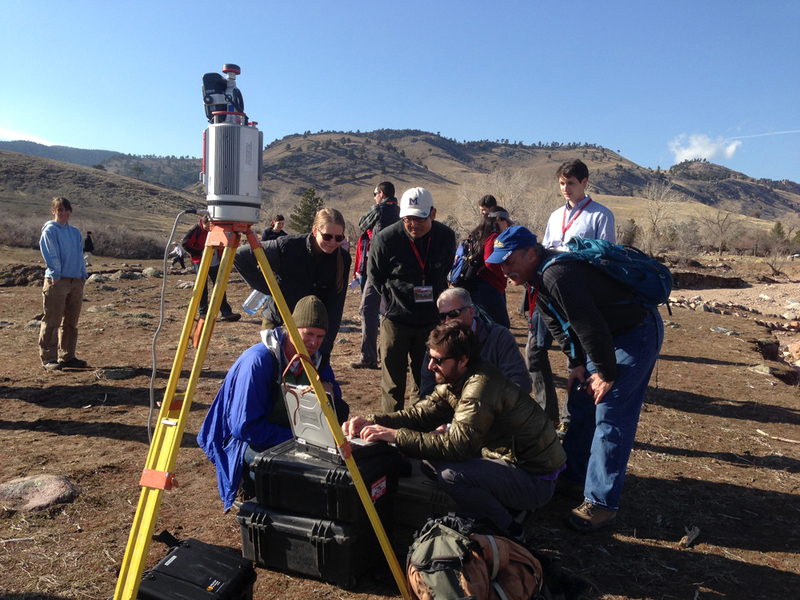 Special topic sessions provided workshop participants with the opportunity to discuss advances in geodesy and geodesy education in small, informal break-out sessions. Poster sessions. 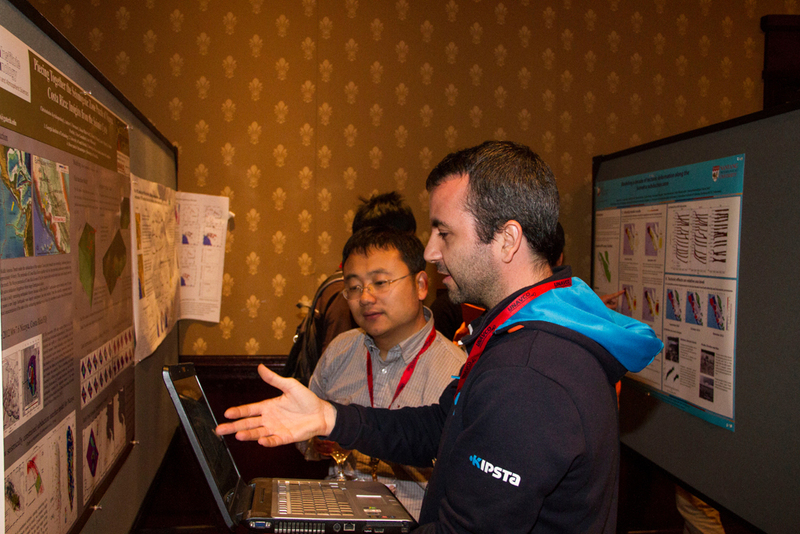 A total of 76 abstracts were submitted for posters in eight geodesy-related categories. 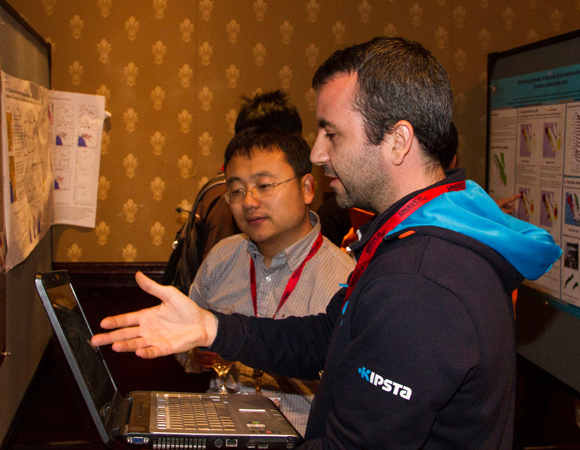 Two evening poster sessions offered meeting participants time for one-on-one interaction around current work in geodeteic science, technology, and education. Poster categories included Atmosphere, Cryosphere, Environmental and Hydrogeodesy, Human Dimensions, Ocean, Solid Earth, Technology, and Other. History. You only turn 30 once! 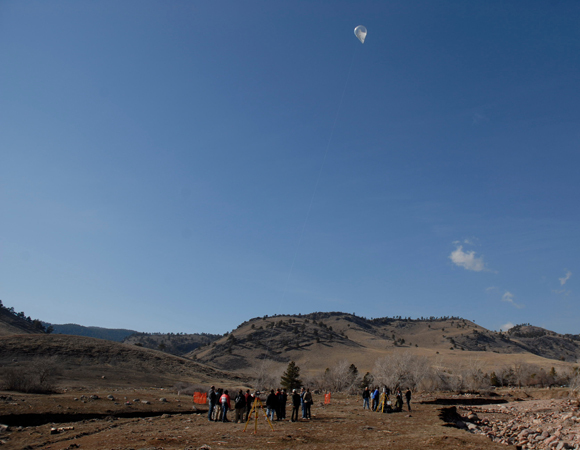 UNAVCO’s history was a major theme of the 2014 UNAVCO Science Workshop, in celebration of the facility’s 30th anniversary. 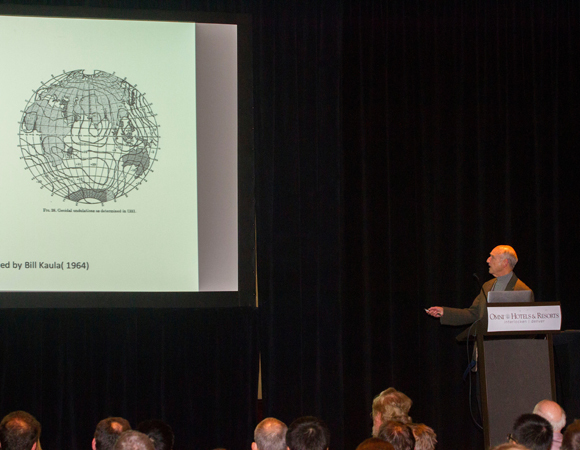 On Tuesday night, guest speaker Byron Tapley, Director of the Center for Space Research and Professor of Aerospace Engineering at the University of Texas at Austin, provided a historical narrative of geodesy intertwined with a history of the space program that provides support for the GPS satellite constellations. 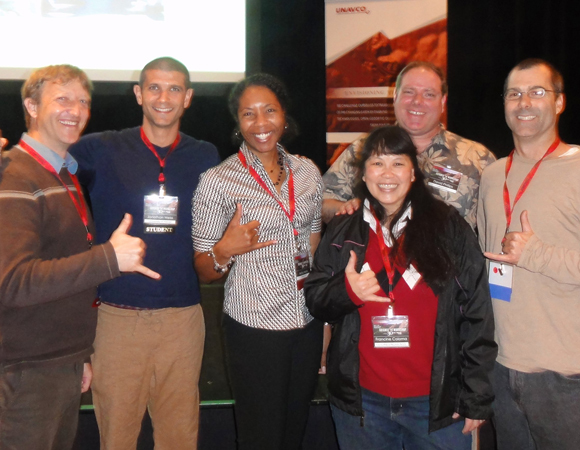 On Wednesday evening, a UNAVCO history-themed Ignite session featured many principal investigators who have worked with UNAVCO from the earliest days of campaign GPS. Nine presenters spoke for five minutes each about the importance and history of UNAVCO and geodesy. 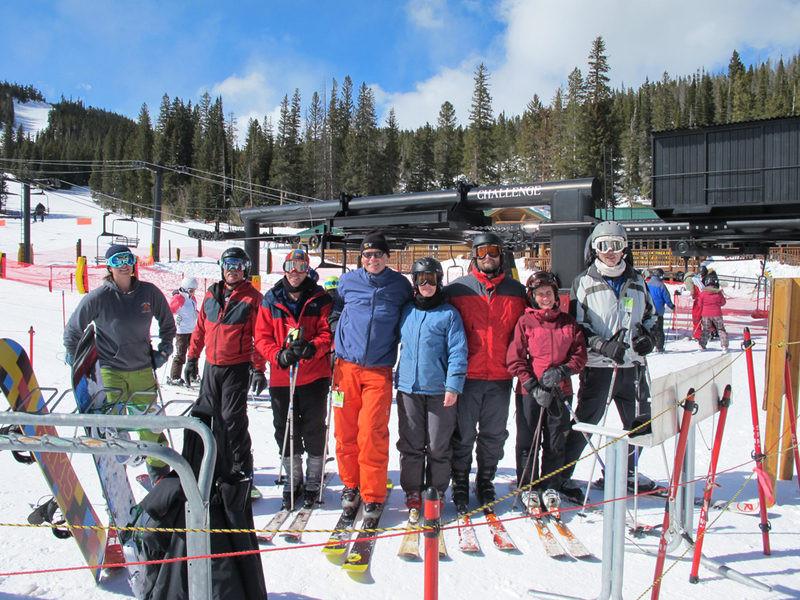 Follow the link for a fast-paced, multi-voiced tour of UNAVCO—past, present, and future. Throughout the Workshop, UNAVCO External Affairs collected 11 video interviews about the early days of UNAVCO and geodetic GPS for future use. 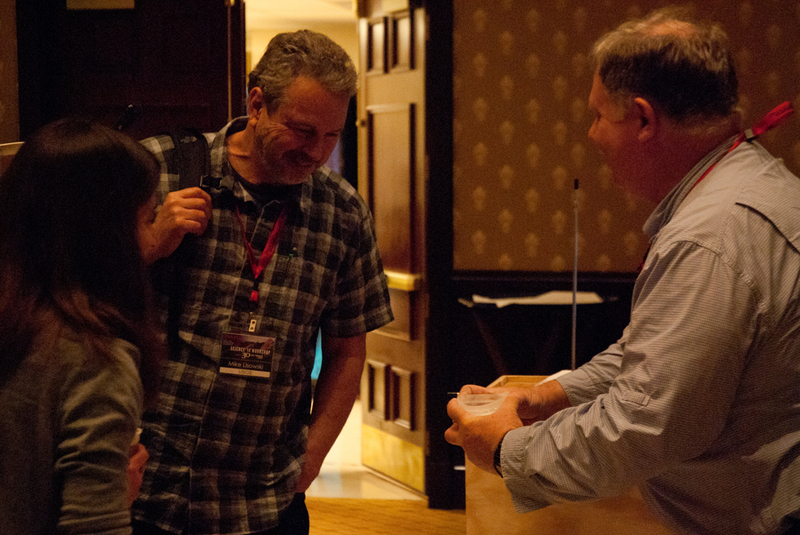 Participants were invited to view and edit a timeline of UNAVCO’s history and submit stories and photos from their experience with UNAVCO. Short courses. Two short courses offered during the Science Workshop trained 70 people in theory and methods of strainmeter science and hydrogeodesy. 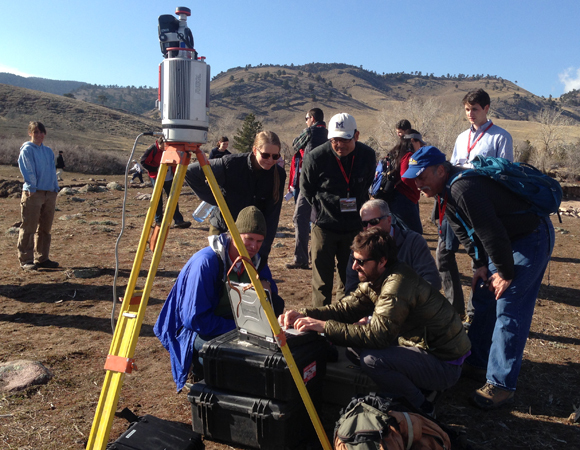 Participants learned how to use strainmeter data provided by the Plate Boundary Observatory and how to use GPS to study the water cycle, respectively. enGAGE interactive space. 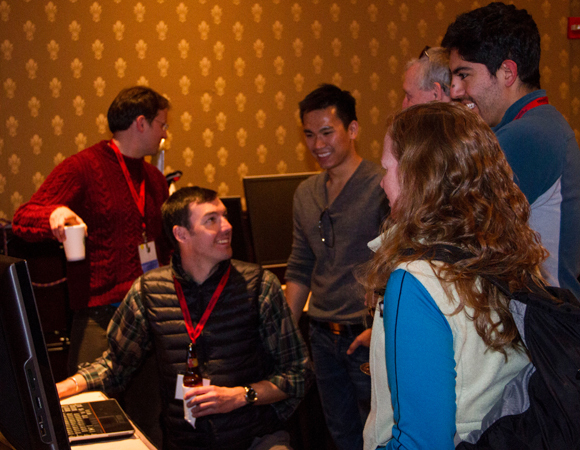 The enGAGE Interactive Space premiered at this year's workshop to showcase educational tools and technology concurrent with the poster sessions. The space featured demonstrations of classroom activities for teaching strain, an up-close look at a GPS antenna and Terrestrial Laser Scanner (TLS), a display of one of the three TI-4100 Navstar Navigation System GPS receivers that gave UNAVCO its start, and a slideshow of historical photos. E-NET. 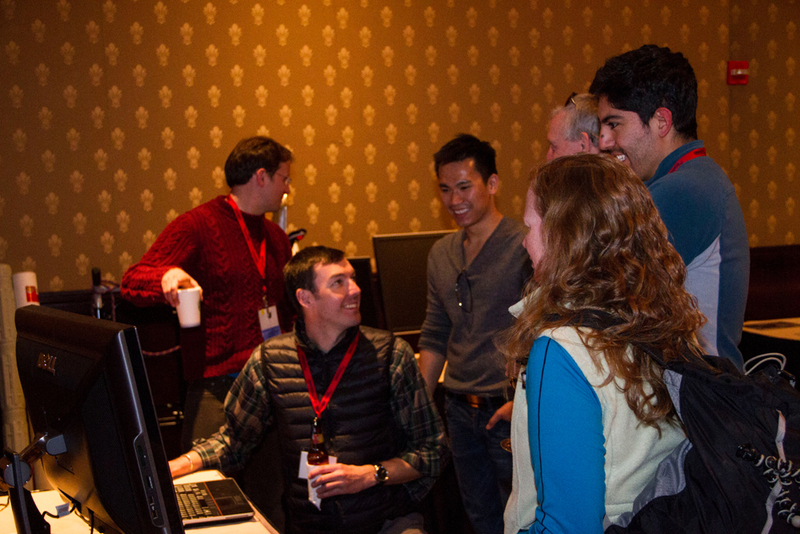 The Expanding Networks through Mentoring (E-NET) program formally connects graduate students and early career professionals with established researchers in the UNAVCO community. 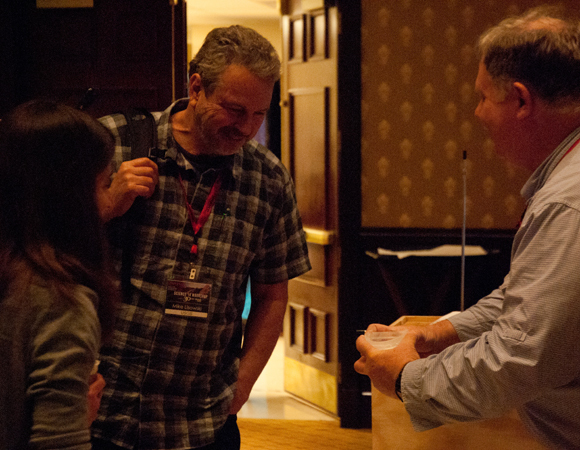 Mentors and mentees met at the opening reception Monday evening for introductions and brief discussions of goals for the workshop and then connected again throughout the week. This is the second time UNAVCO has facilitated the E-NET program at the Science Workshop. Field trip. 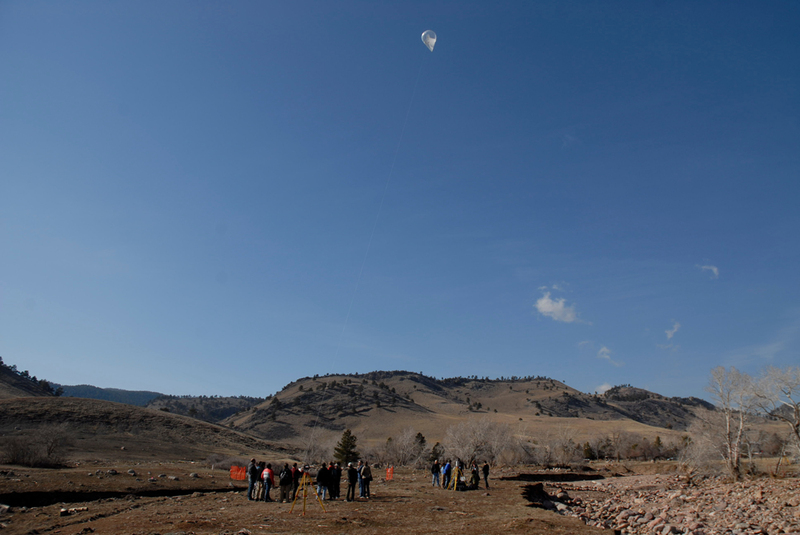 Wednesday afternoon, participants were invited to tour the mouth of Fourmile Canyon for a demonstration of TLS and to examine impacts from the September 2013 floods. 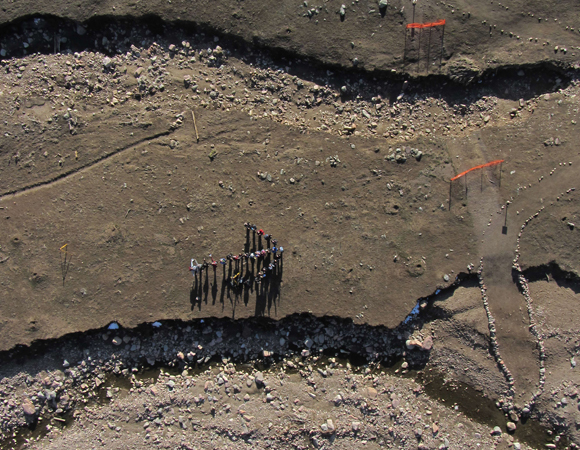 Participants were introduced to TLS technology and survey design, scanner capabilities and operation, field data collection workflow, and preliminary results of topographic changes due to the September flood event. UNAVCO tour. 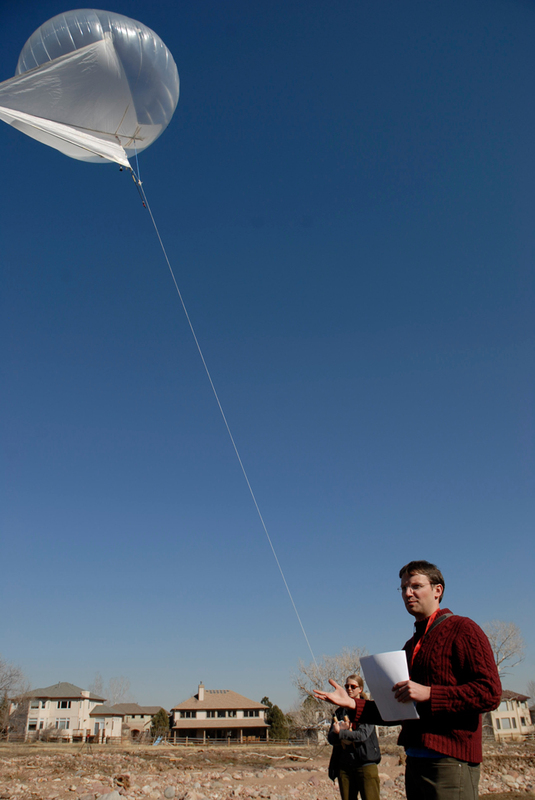 An optional tour of the UNAVCO headquarters in Boulder on Wednesday gave participants a window into UNAVCO operations. The tour covered the entire facility including the warehouse and took a look at the engineering, equipment, and data archive facilities along with other infrastructure. 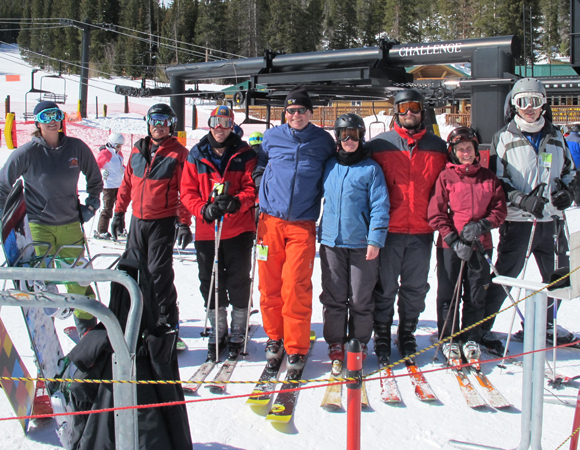 For more photos of the UNAVCO Science Workshop, the field trip, and the ski day, check out UNAVCO on SmugMug.